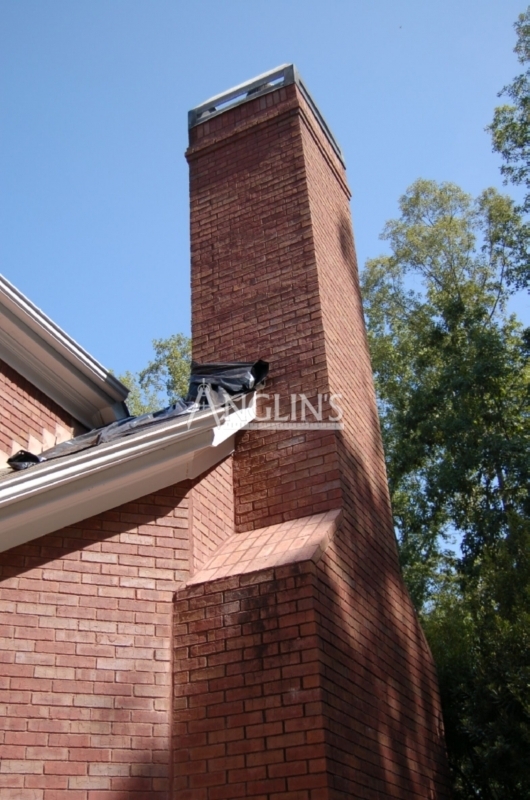 Chimneys are beautiful structural aspects to any home. 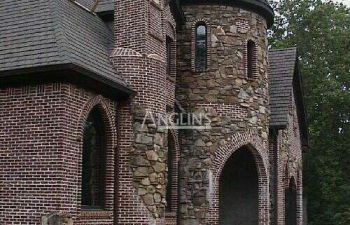 They add appeal, charm, and value with their timeless beauty. 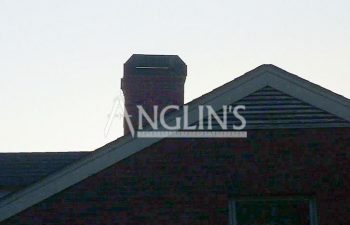 However, issues with chimneys can cause extremely costly and dangerous problems that should be addressed as soon as possible. 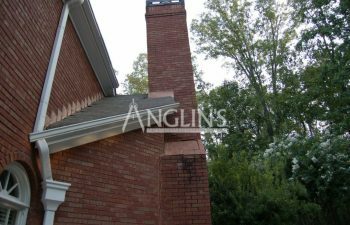 Masonry chimneys (those constructed from brick or natural stone) are extremely heavy structures that require a very sturdy base on which to rest. 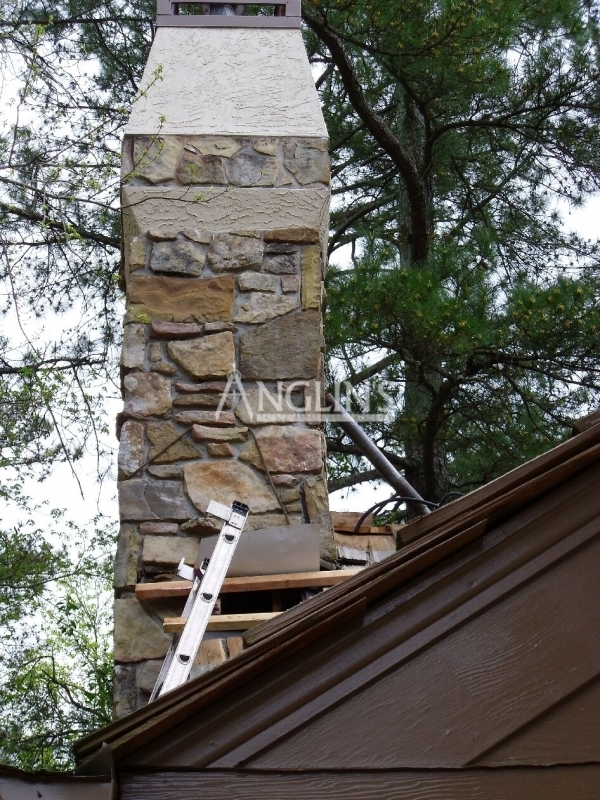 Just like a home’s foundation supports a home, a chimney requires its own footing to support its weight. 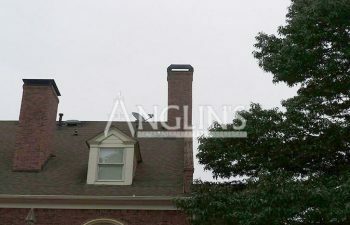 Having your chimney inspected and repaired in a timely manner is essential to the maintenance of your home. 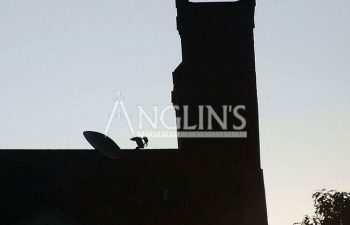 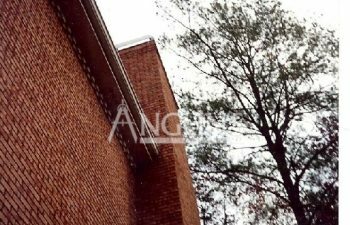 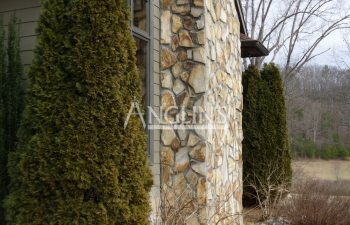 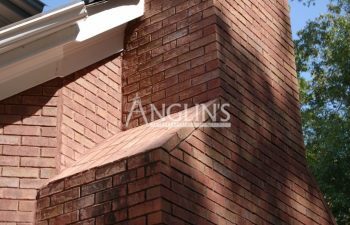 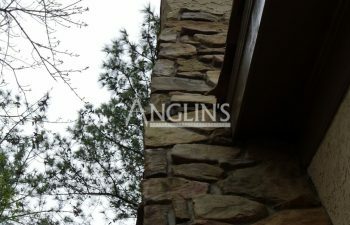 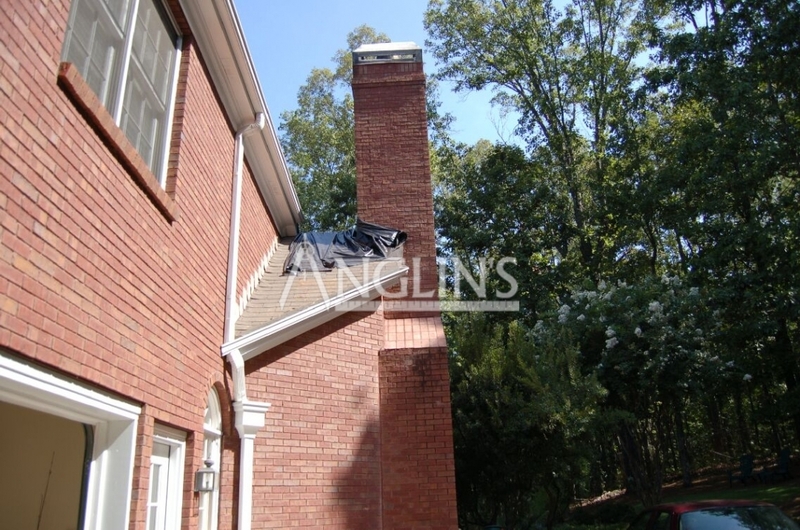 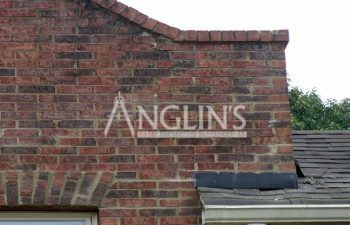 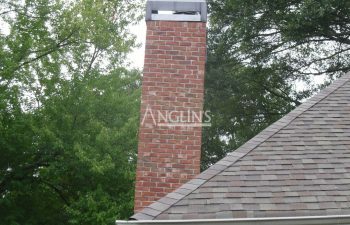 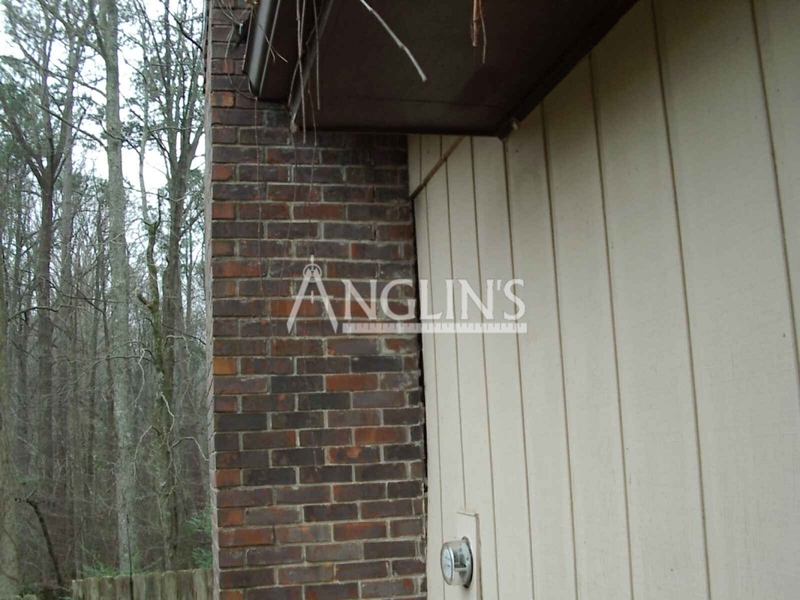 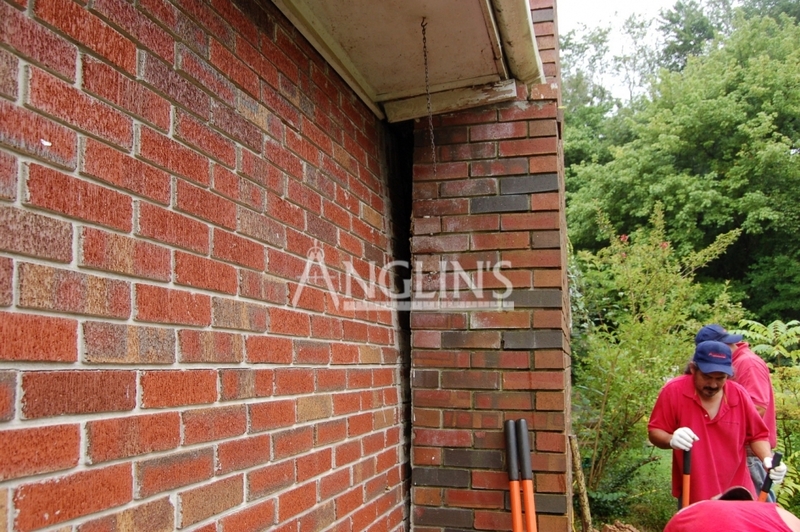 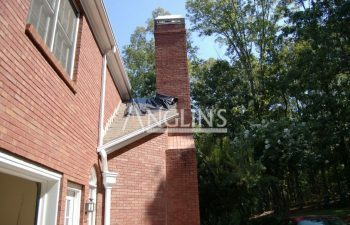 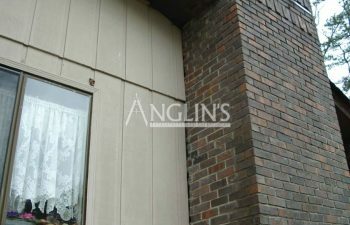 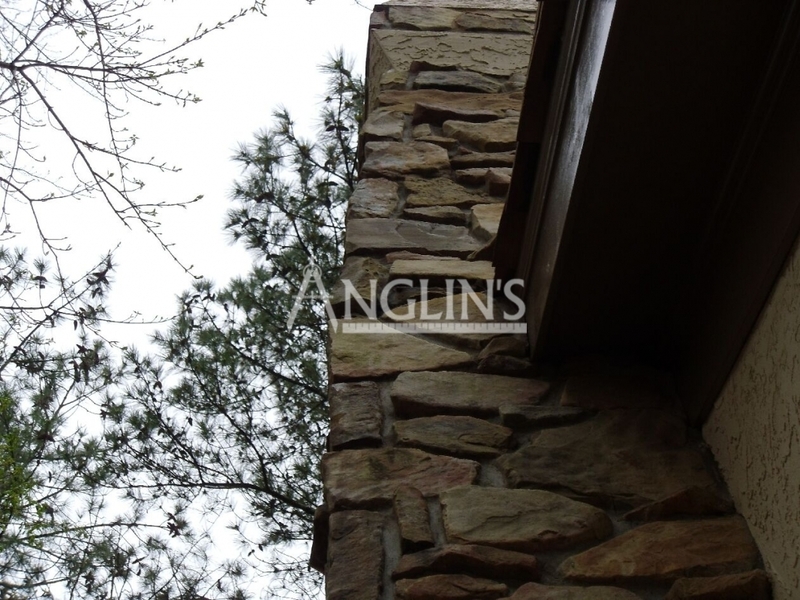 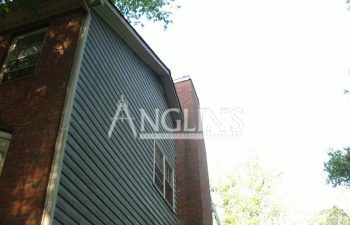 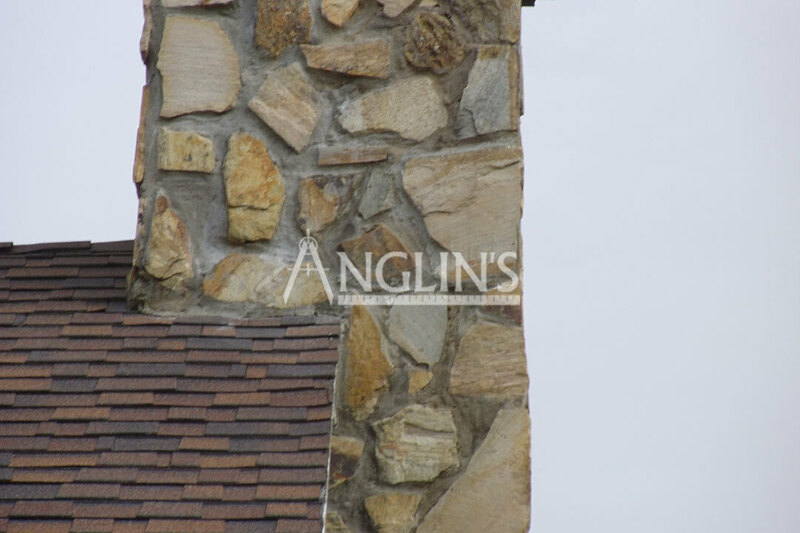 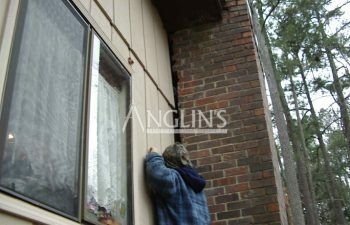 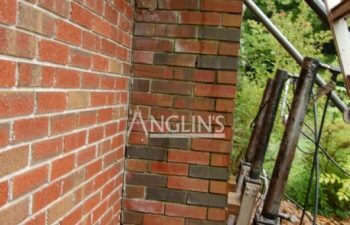 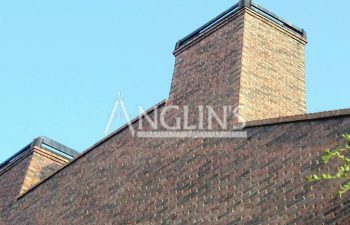 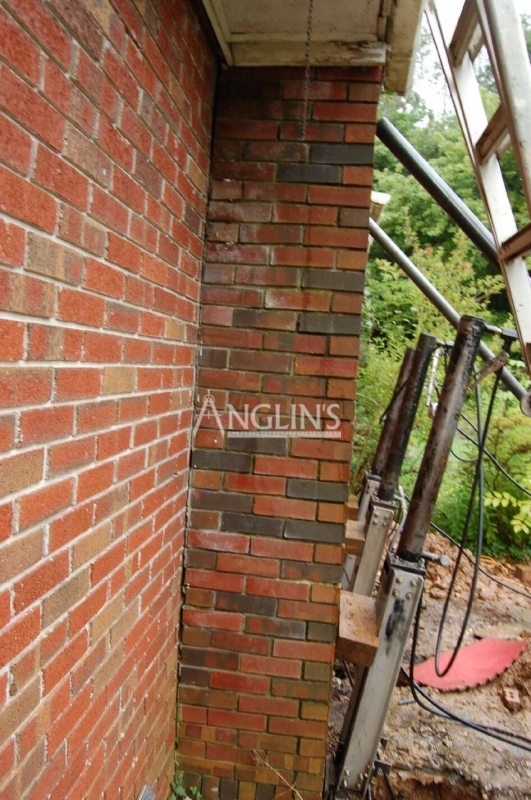 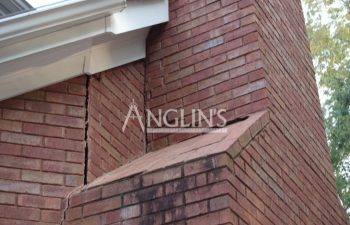 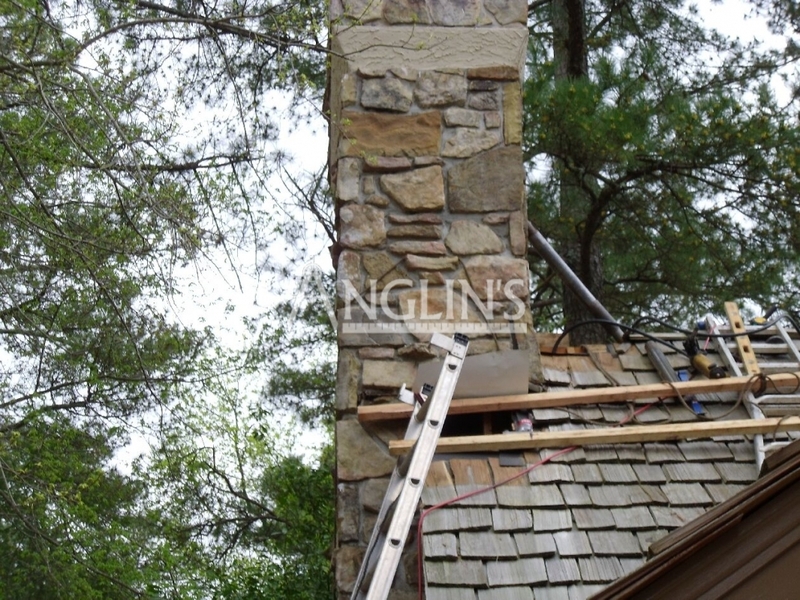 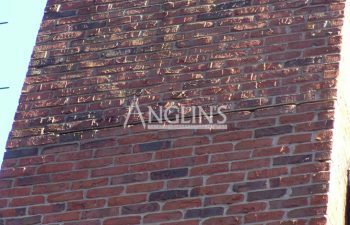 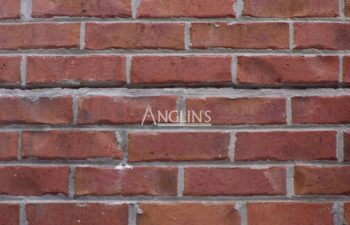 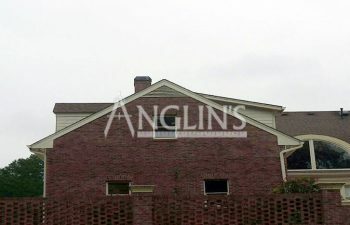 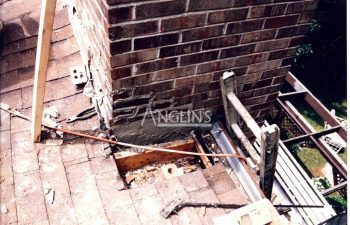 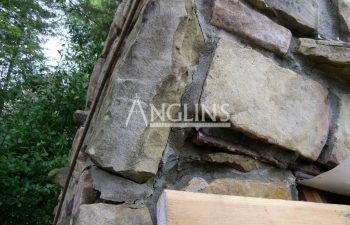 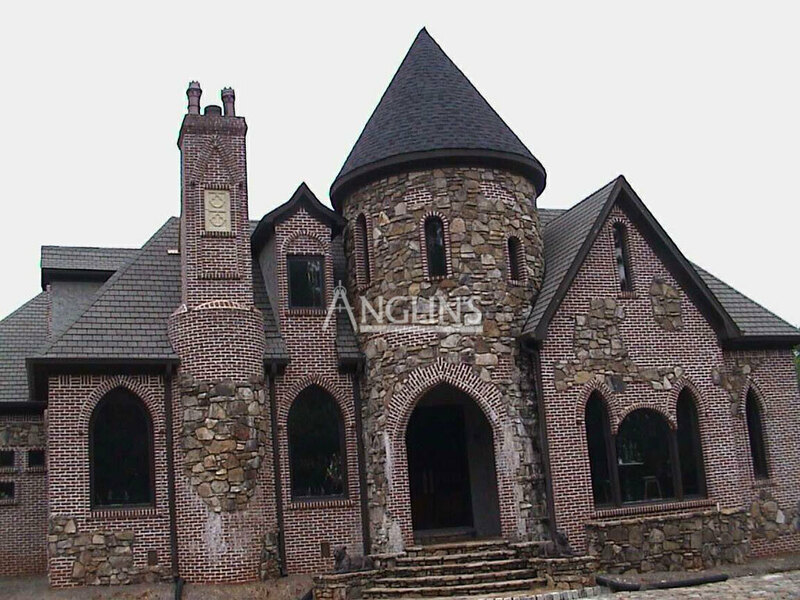 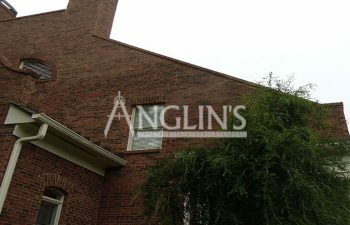 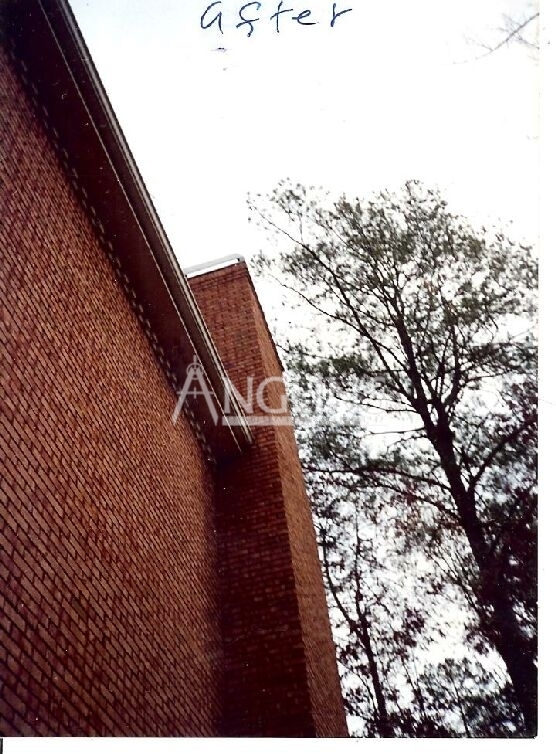 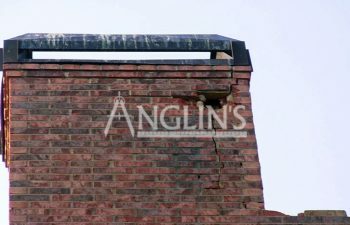 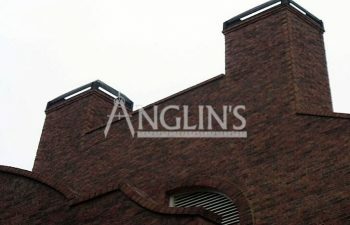 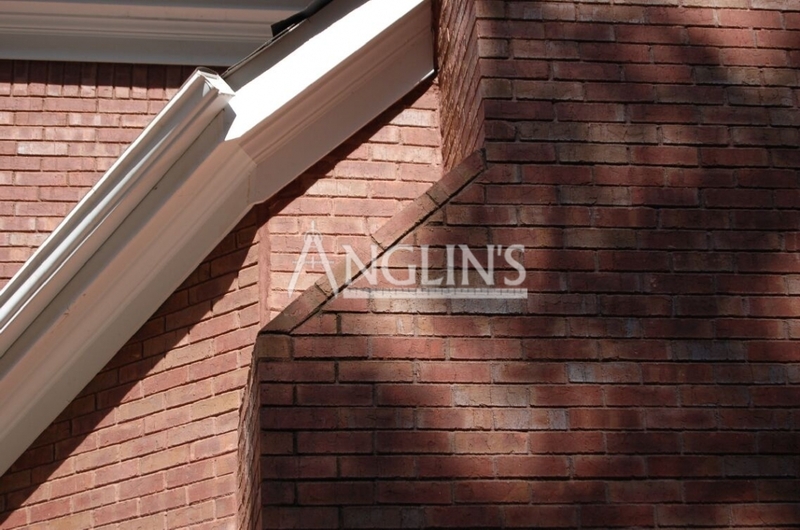 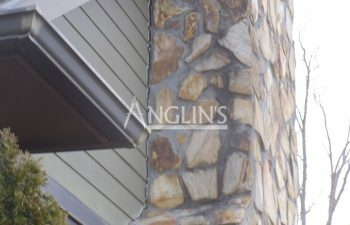 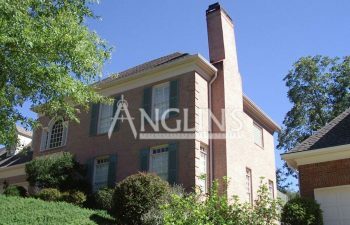 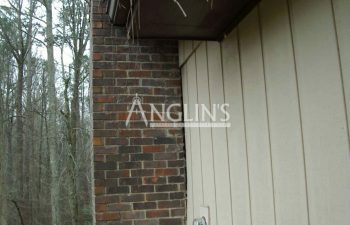 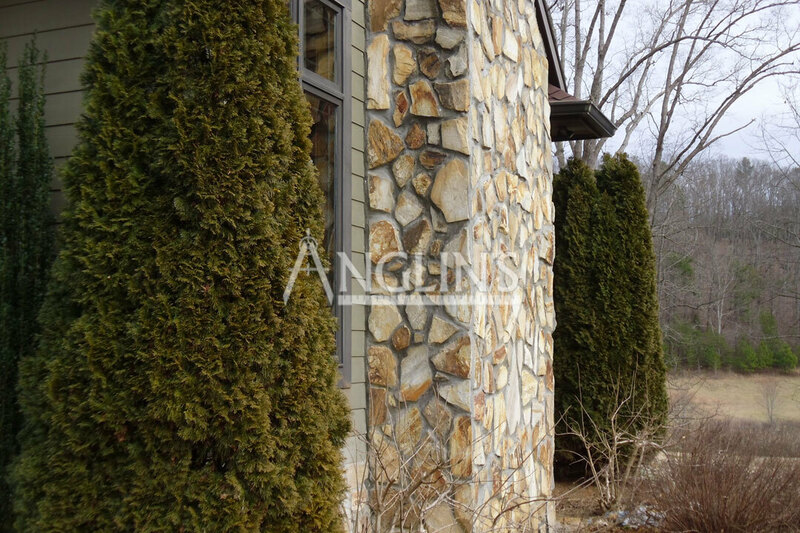 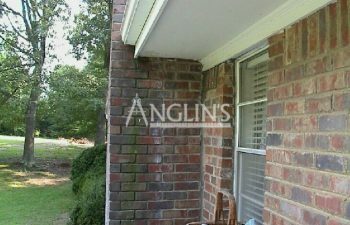 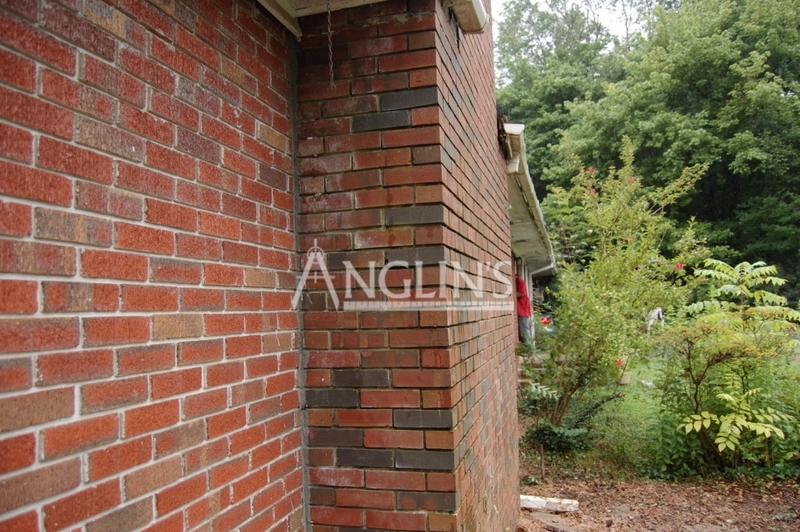 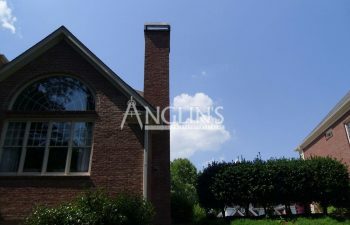 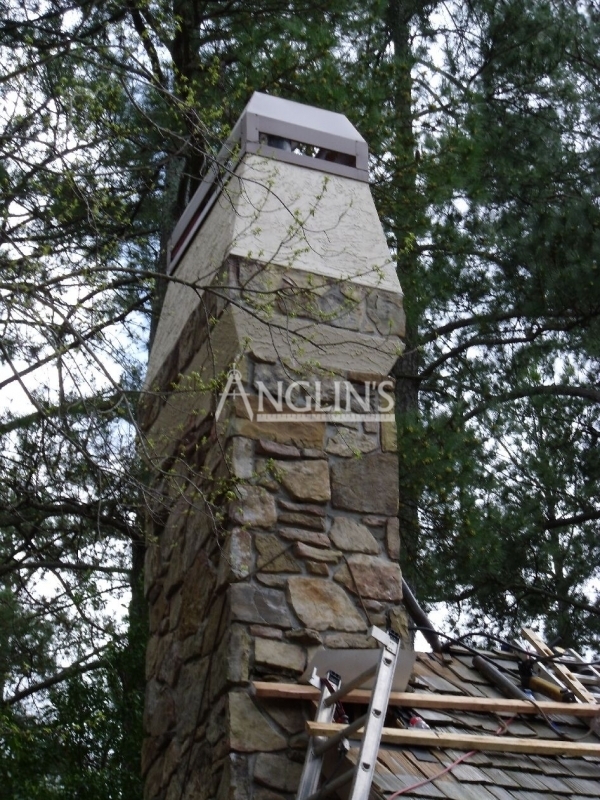 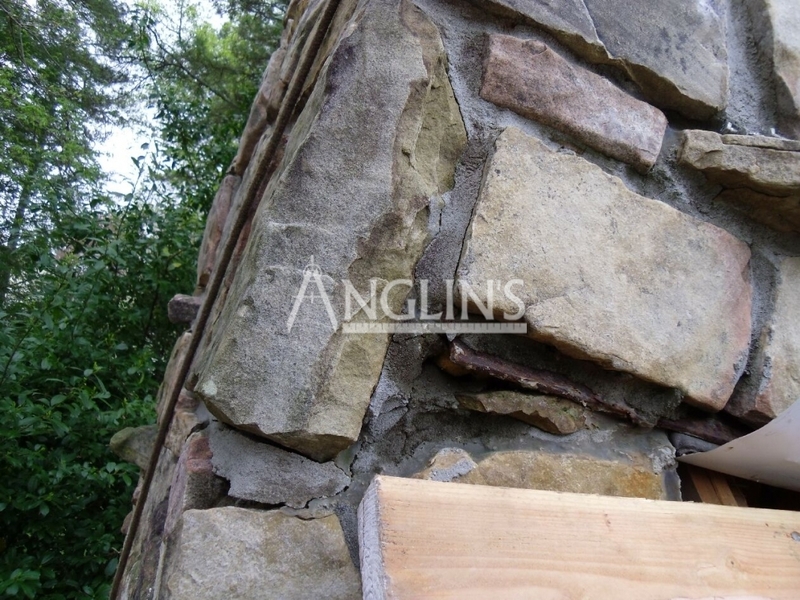 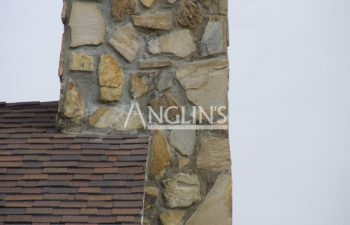 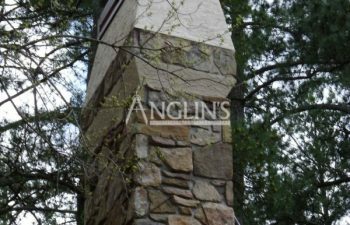 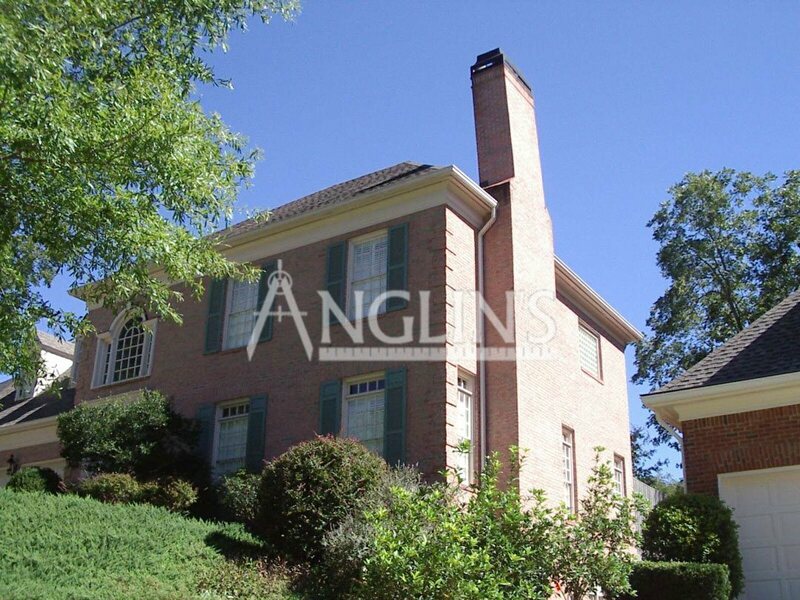 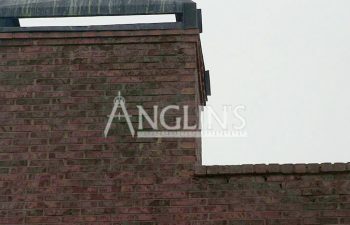 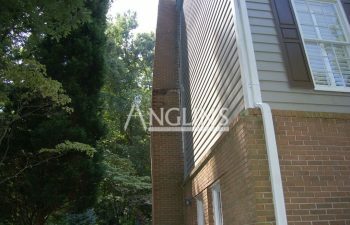 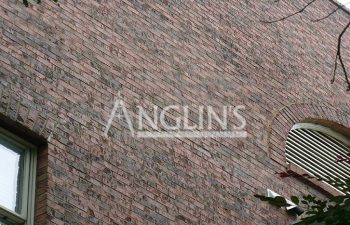 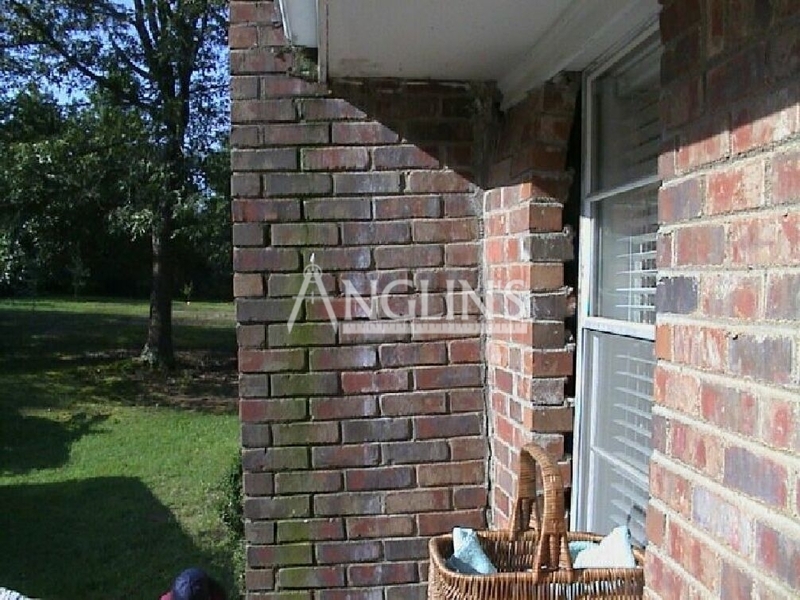 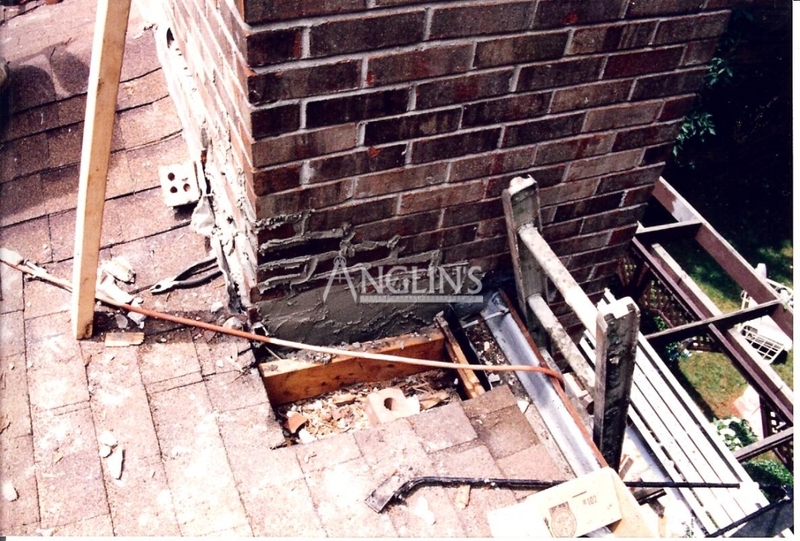 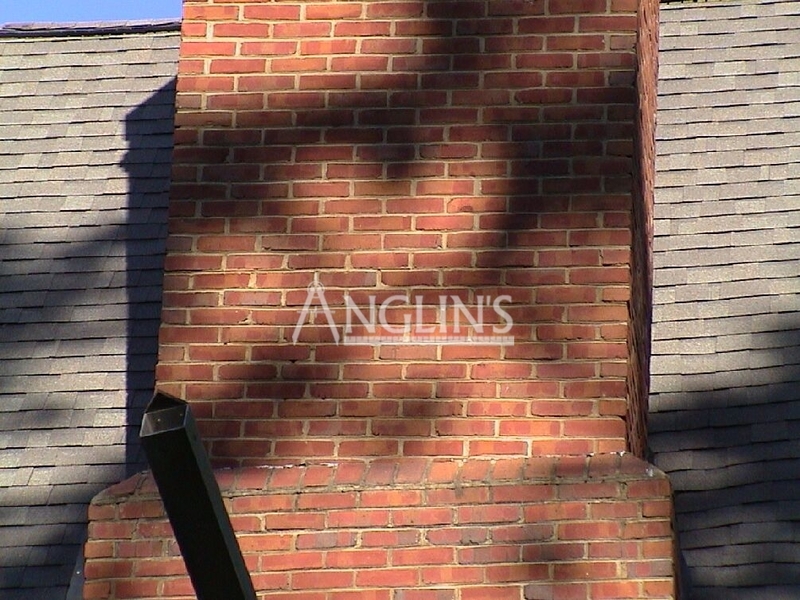 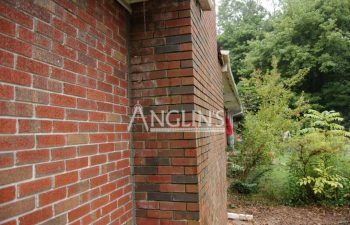 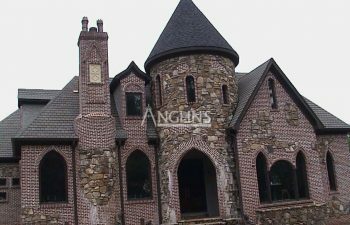 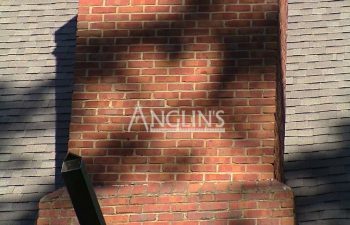 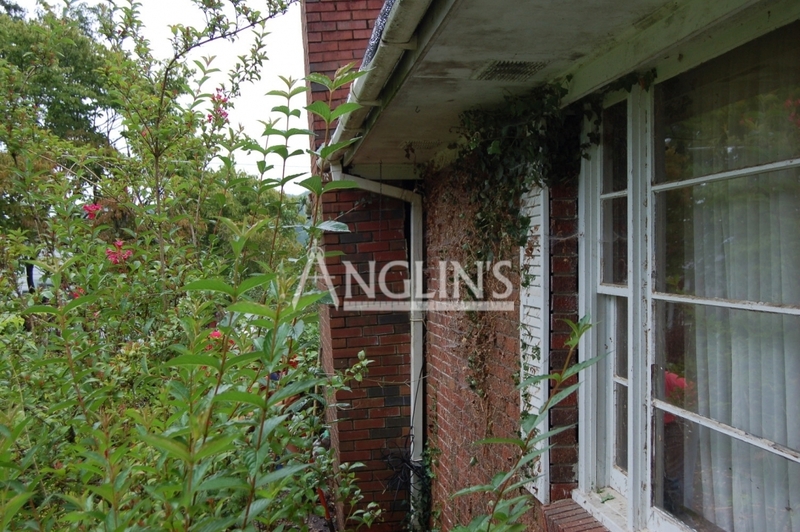 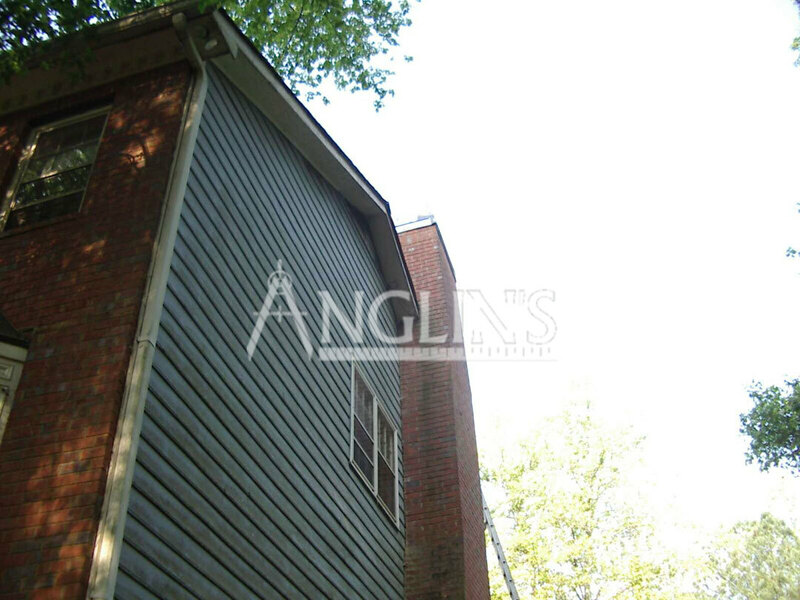 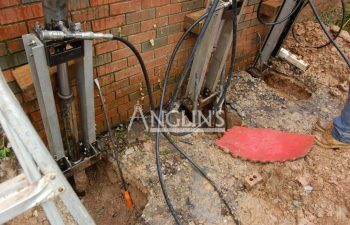 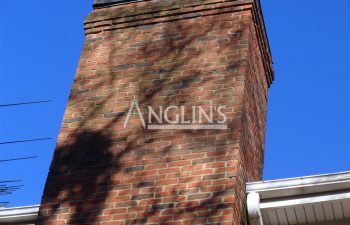 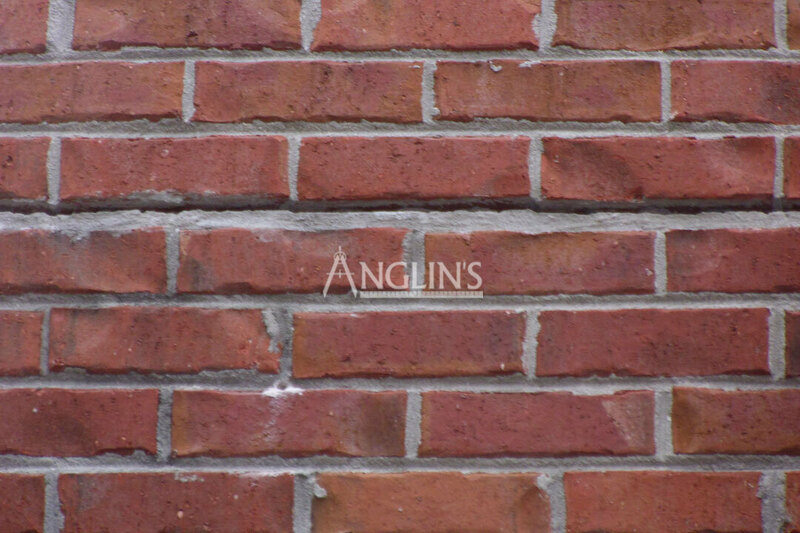 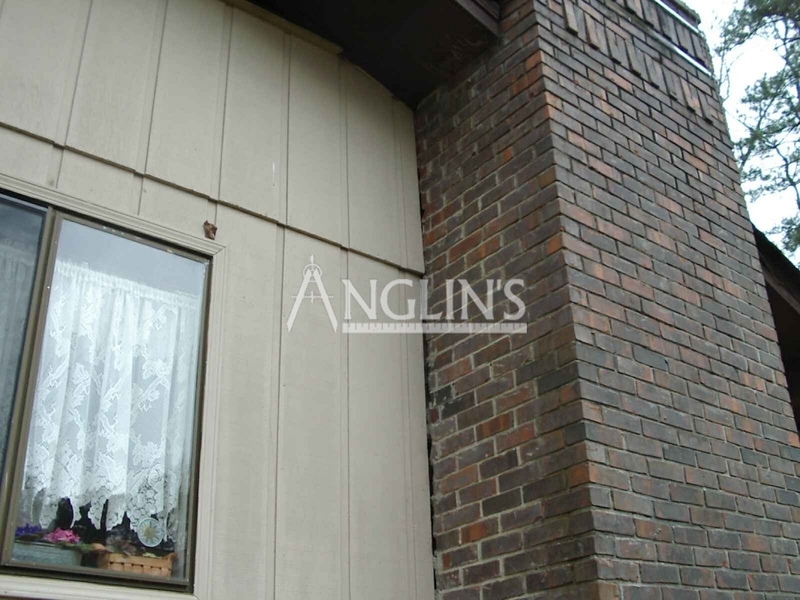 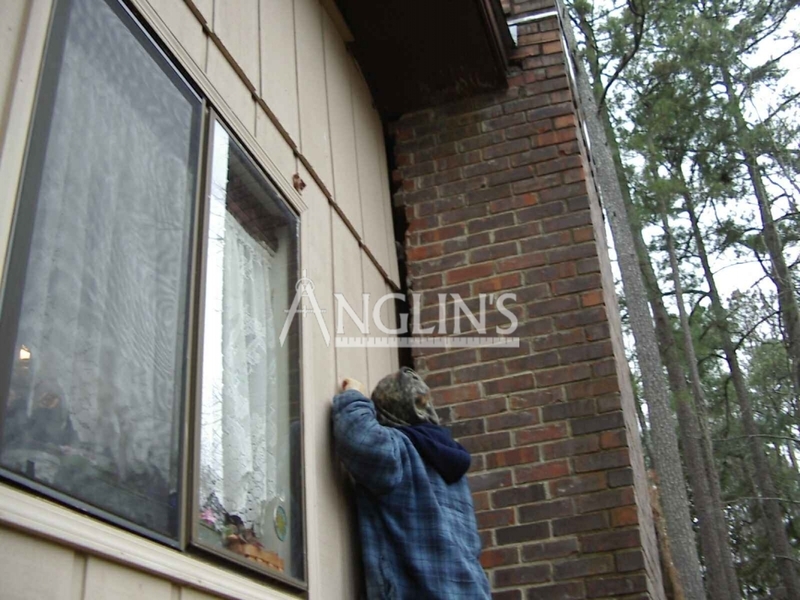 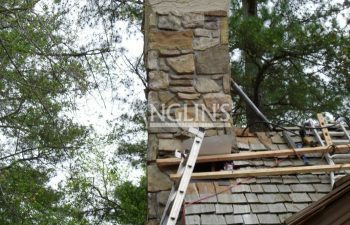 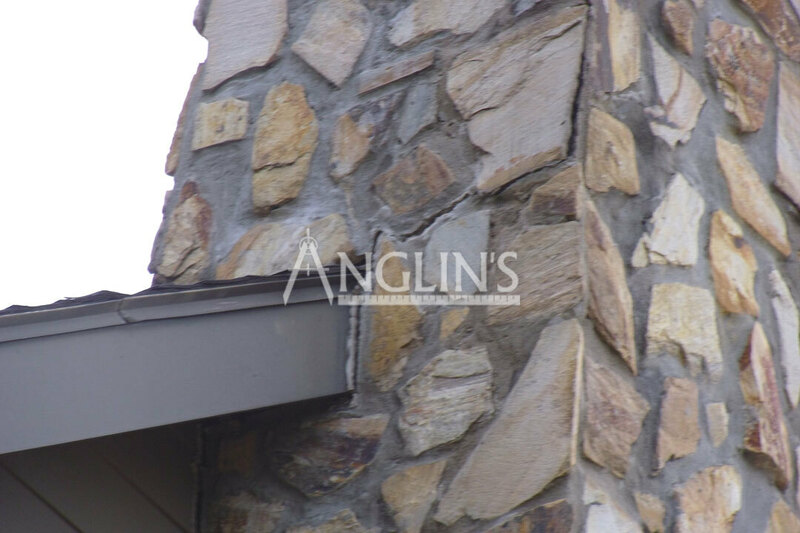 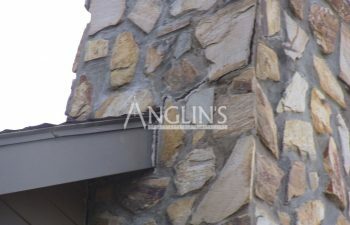 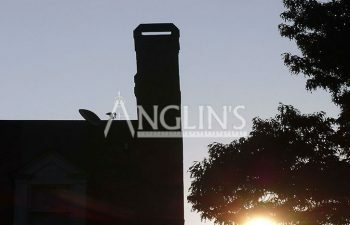 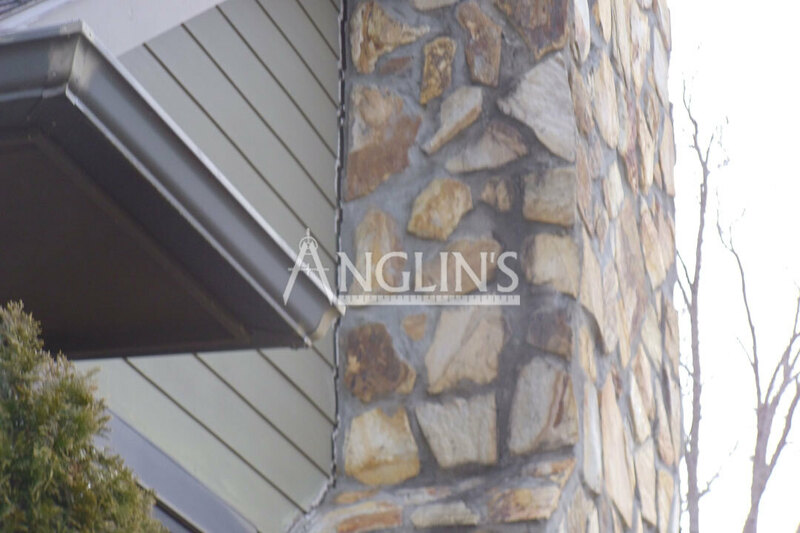 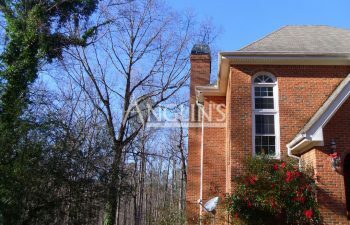 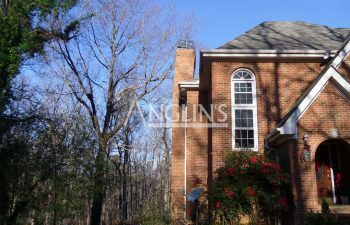 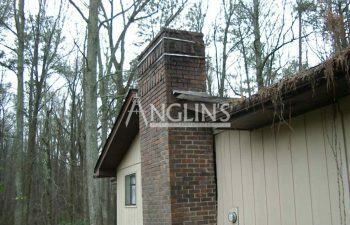 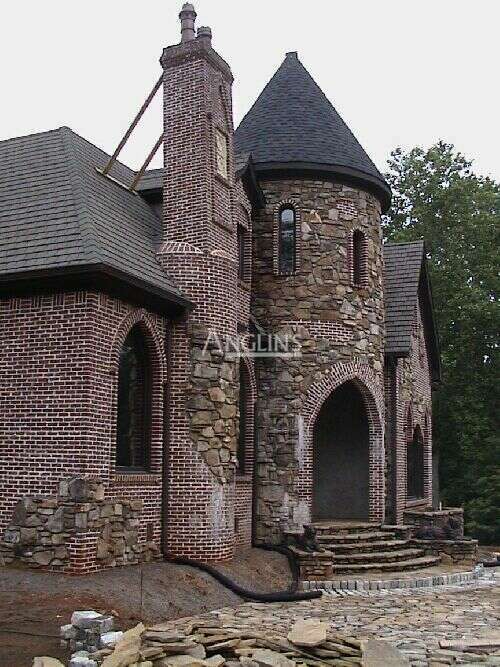 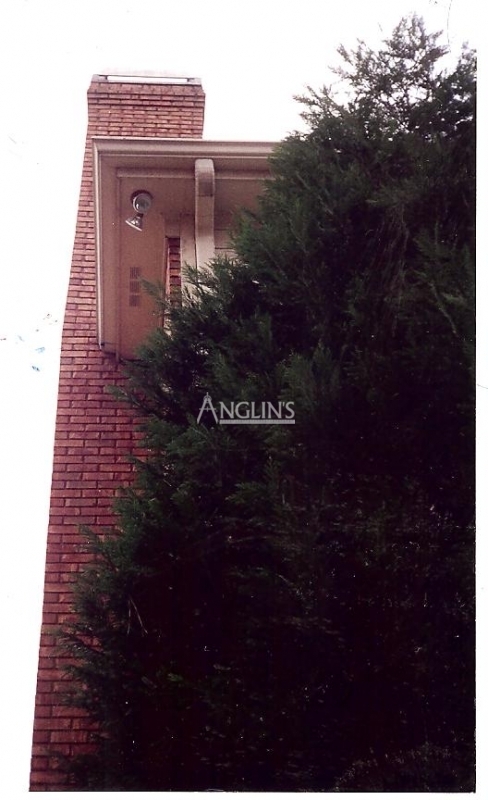 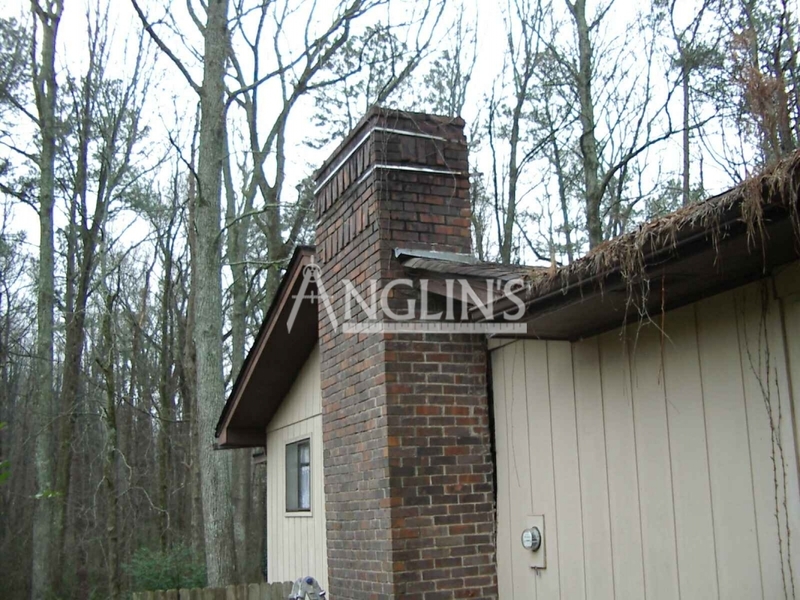 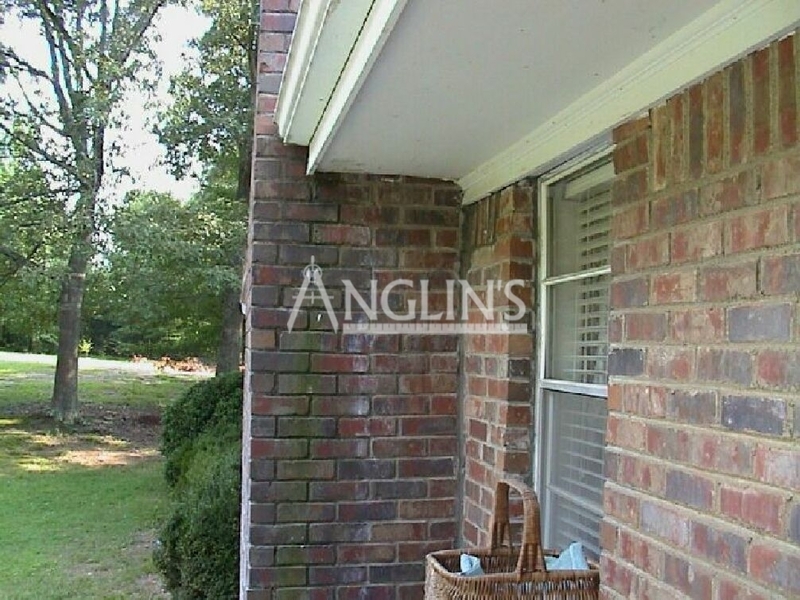 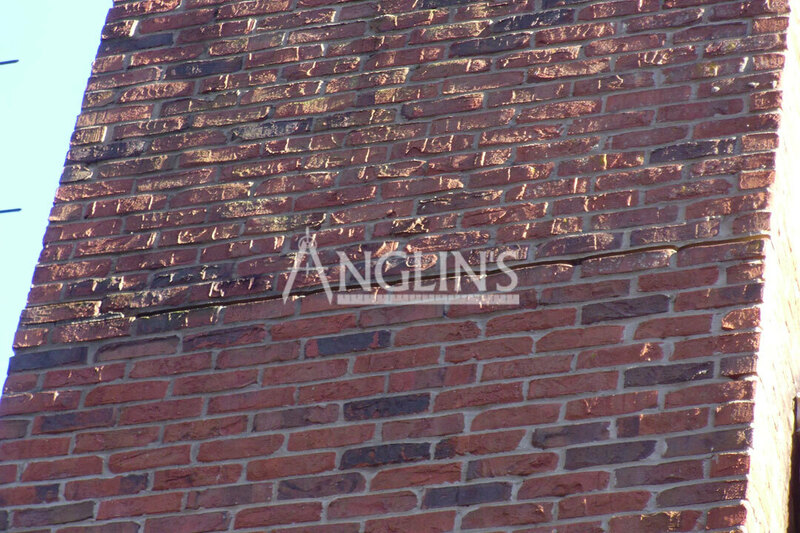 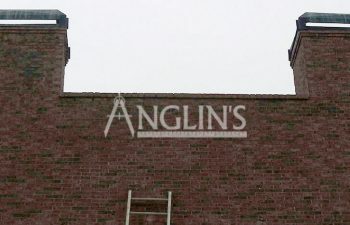 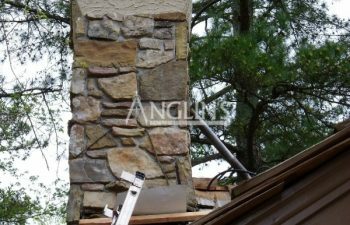 Anglin’s Foundation & Masonry Repairs is the expert source for chimney inspection, diagnosis, and repair. 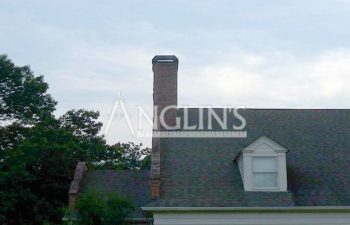 As an extension of the home, any time there is an issue with the chimney it is an indicator that there is actually a serious foundation issue for your entire home. 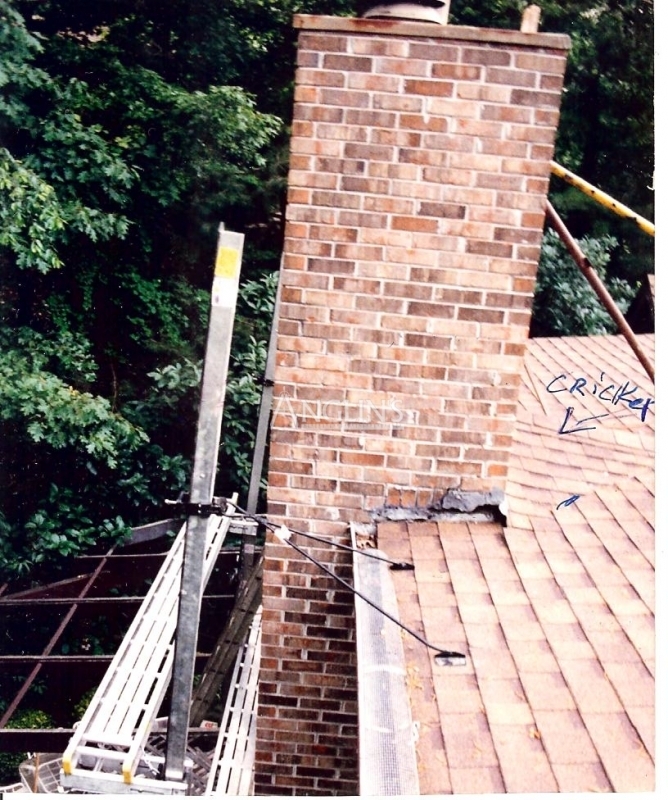 Having your chimney inspected and repaired is extremely important for the value and safety of your home and family. 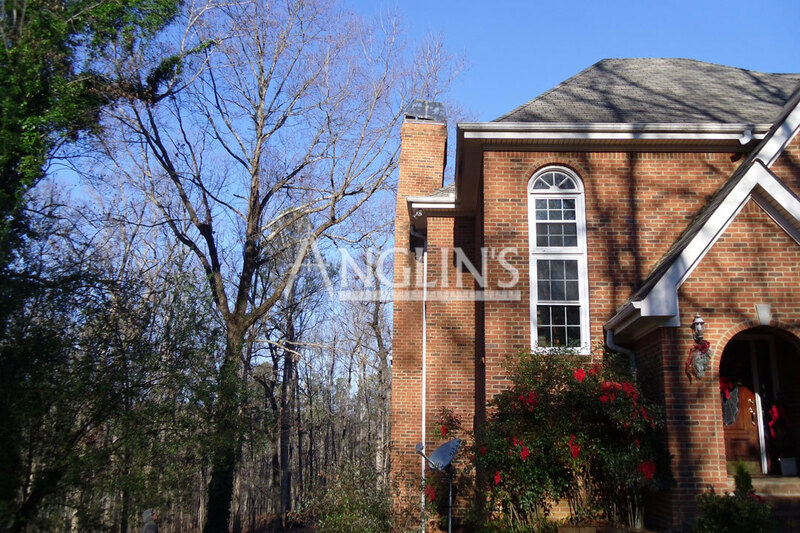 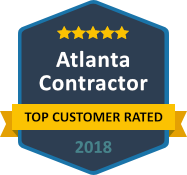 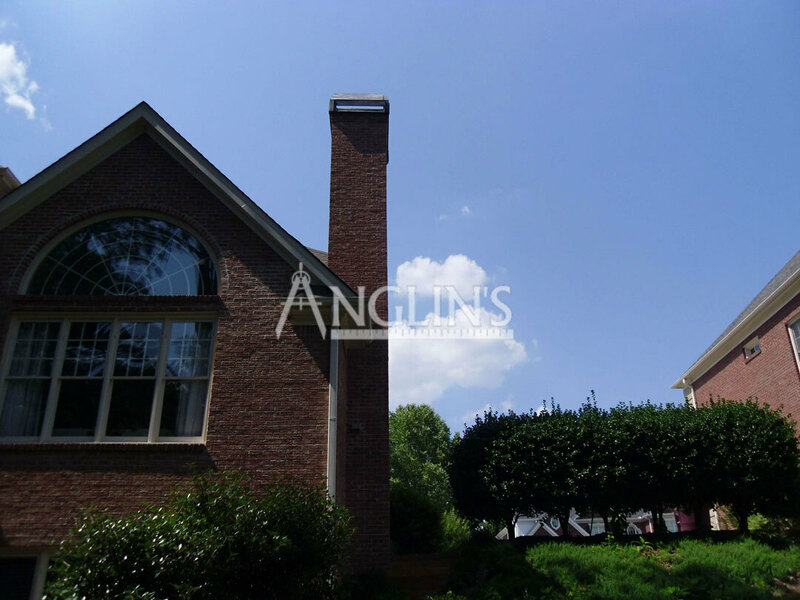 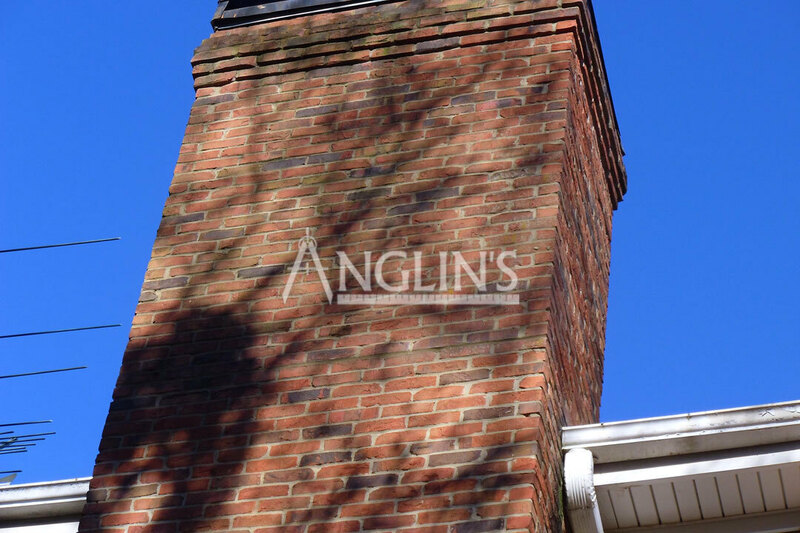 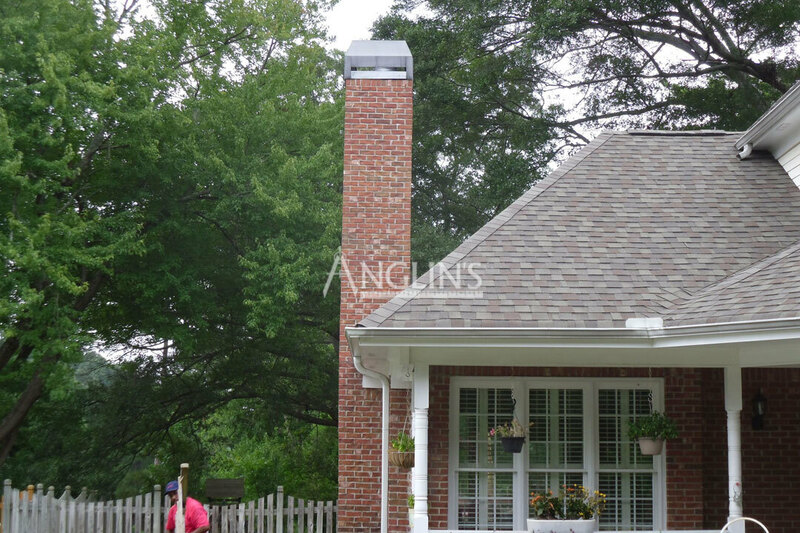 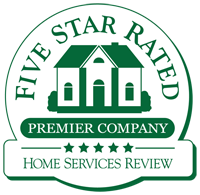 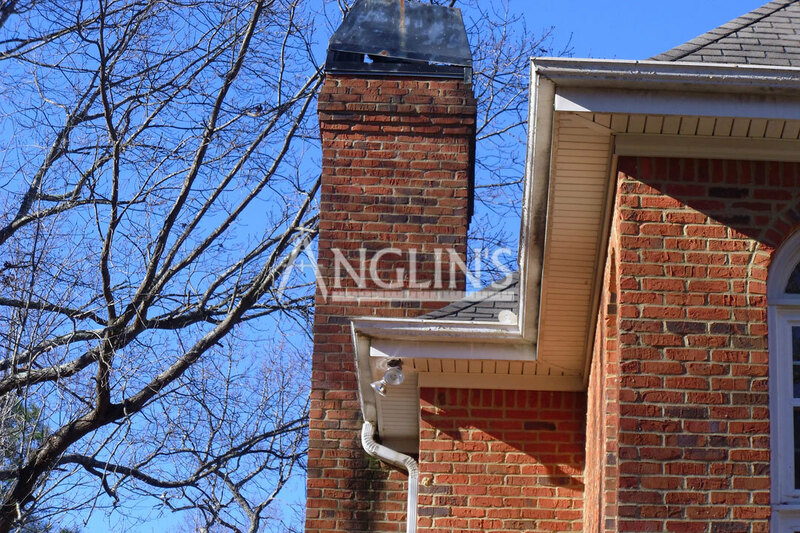 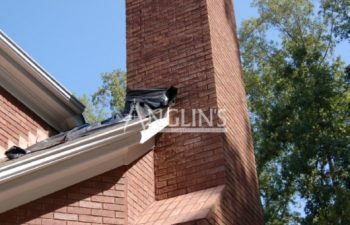 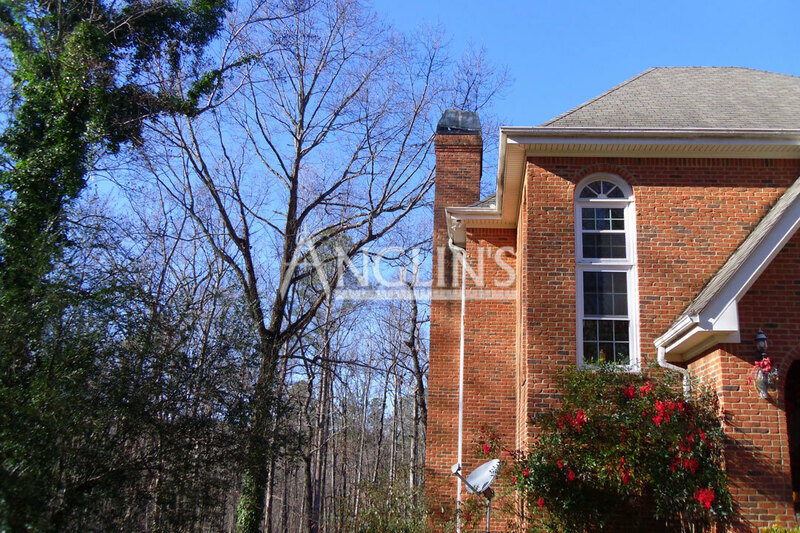 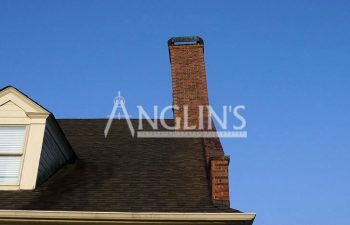 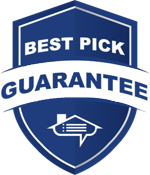 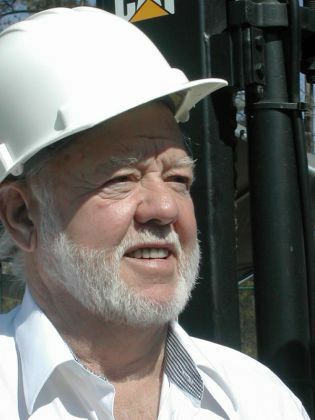 The team at Anglin’s offers a variety of solutions to remedy issues with a home’s chimney, and we use our experience and expertise from over 85 years to help us find the proper solution. Please do not wait, but call us today for all of your chimney repair needs here in McDonough. 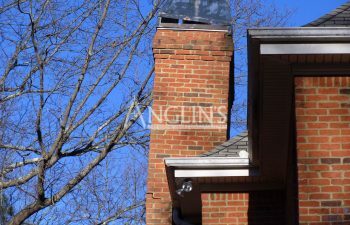 Cracked and/or leaning chimneys should never be neglected. 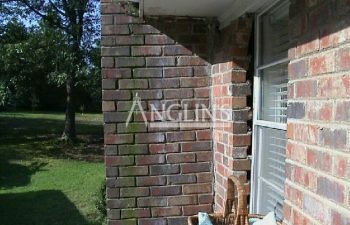 While they can cause an unsightly eyesore, they come with a host of problems extending beyond aesthetics. 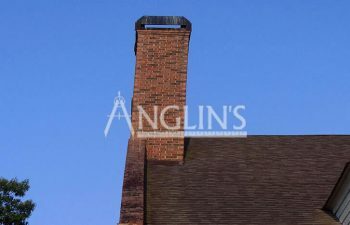 While leaning chimneys are relatively common among historic homes, they are rarely just an age-related complication. 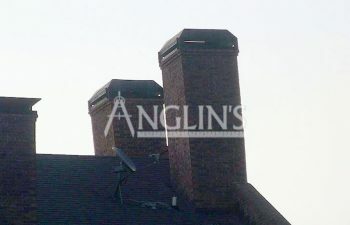 Cracked or leaning chimneys are actually related to foundational issues from the time construction was begun. 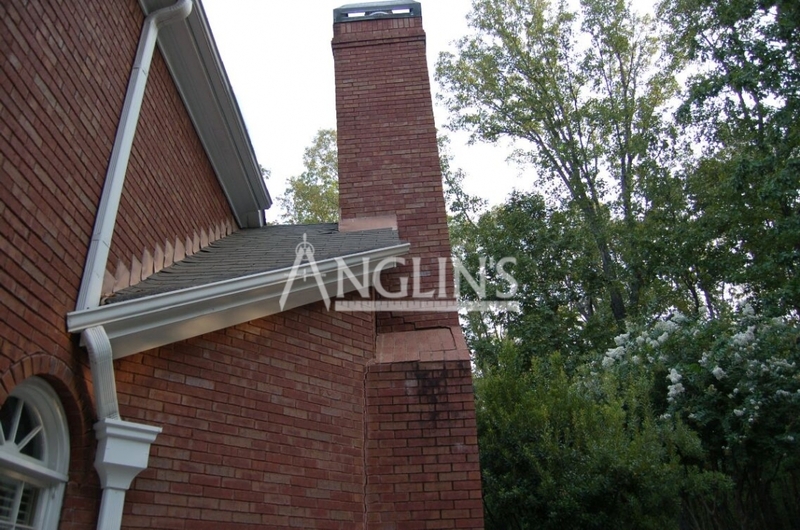 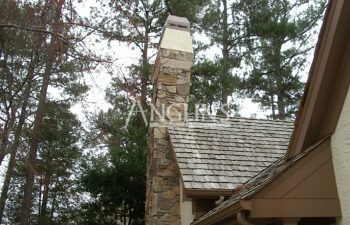 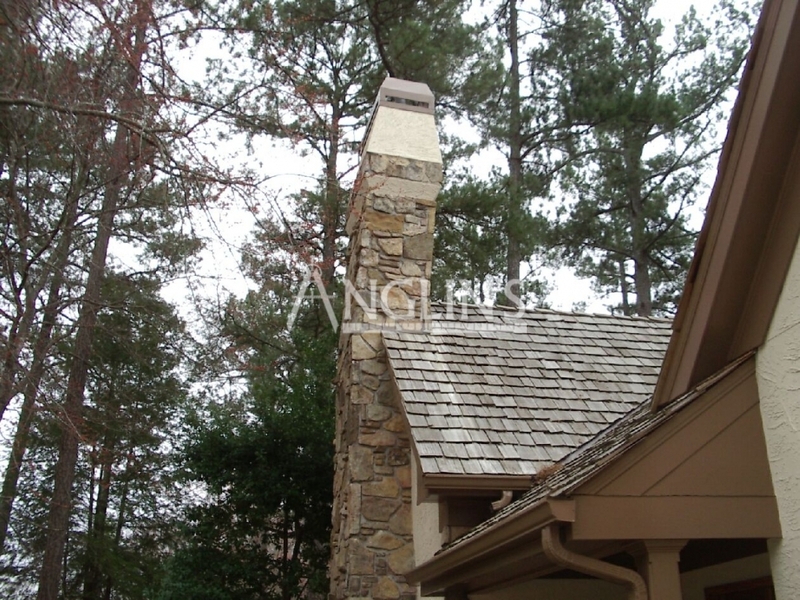 A masonry chimney is an incredibly heavy structure that requires a sturdy support system. 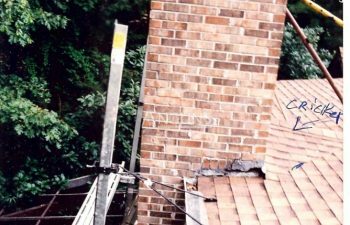 If the foundation of a chimney is unstable or it has been compromised, everyone in or near your home is at risk. 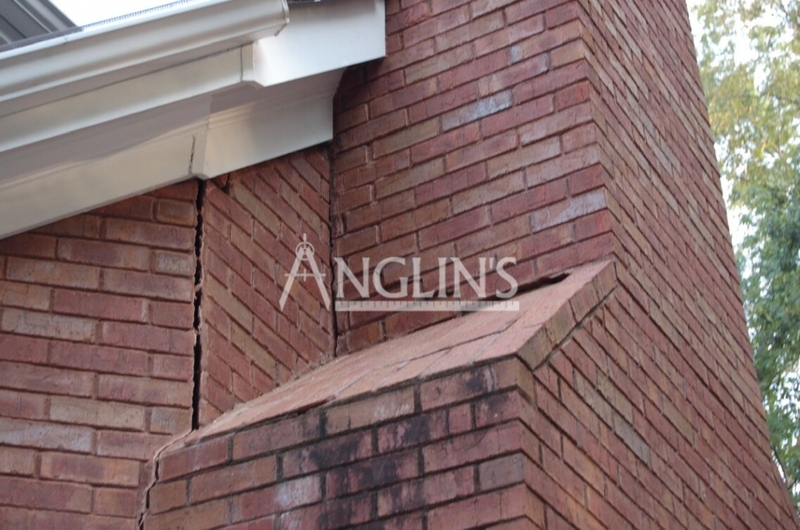 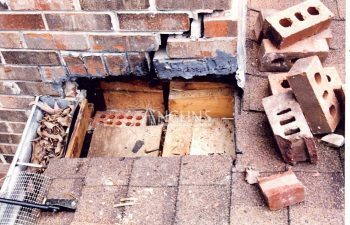 A cracked or leaning chimney can quickly turn into a very expensive problem because of subsequent issues that can follow suit: damaged roof, wall cracks, uneven floors, water damage, bricks falling, and even complete chimney collapse. 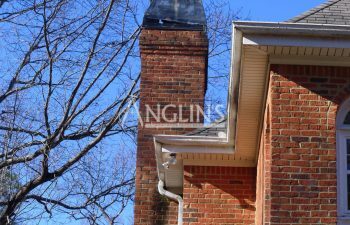 Here at Anglin’s Foundation & Masonry Repairs, we are proud to offer free chimney inspections and estimates to repair your chimney problems. 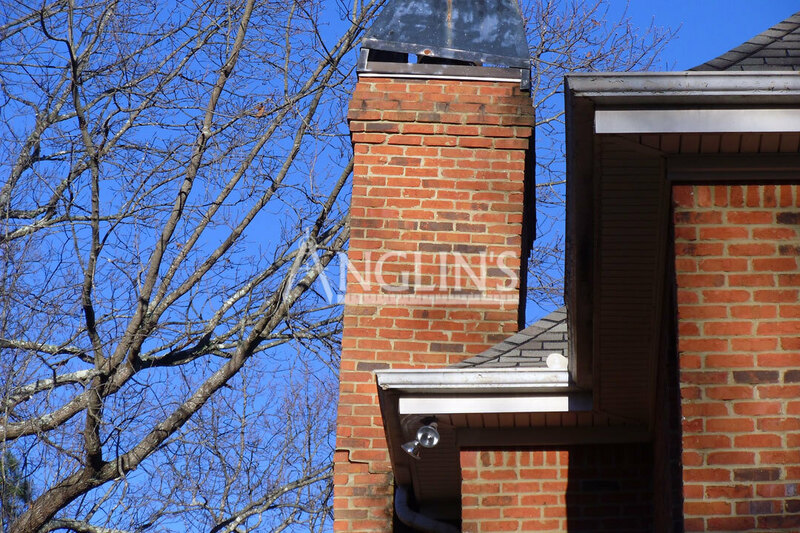 Don’t put off correcting chimney issues until serious damage occurs. 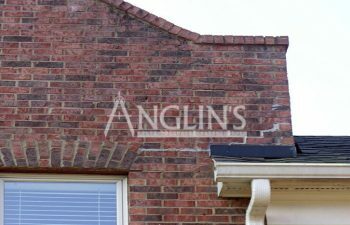 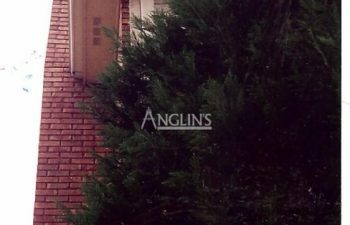 Contact Anglin’s today.